This timely exhibit educates visitors on the state’s algae blooms, which have been especially persistent during the past year. 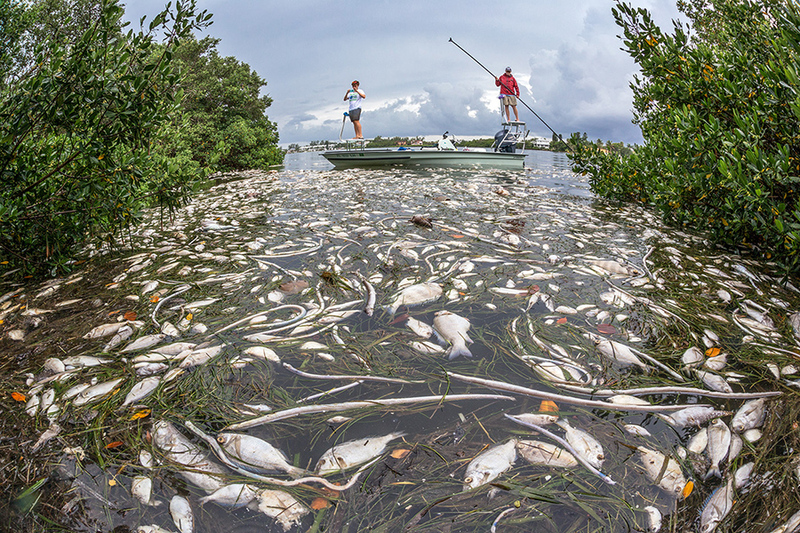 Large panels with high-resolution images in the Denny Gallery illustrate the effects of the outbreaks on Florida’s waters and beaches and explain the differences between red tide and blue-green algae, as well as what action can be taken to combat the blooms. 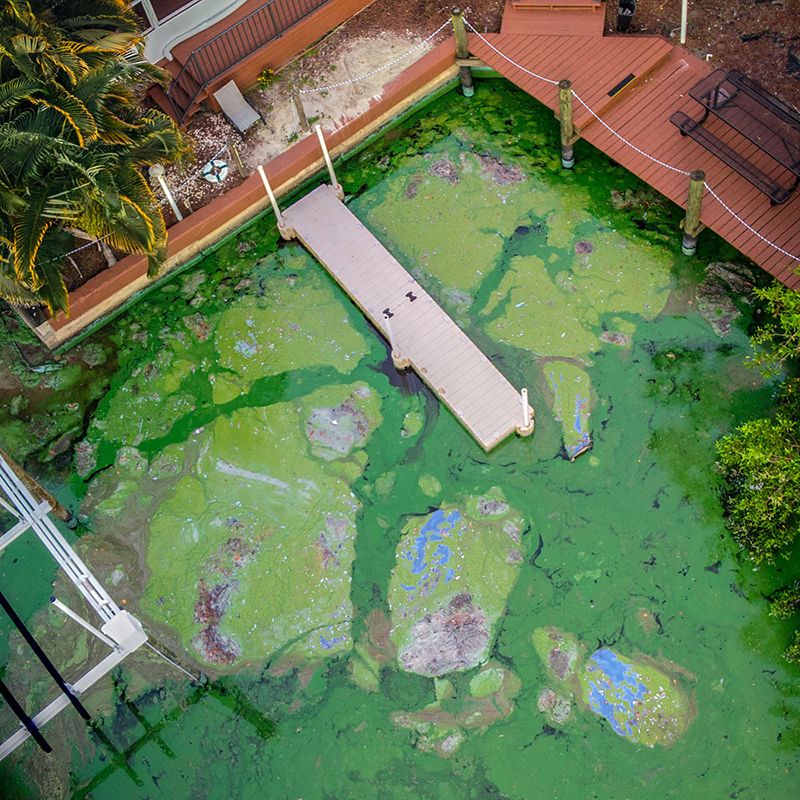 Nine images reveal the effects of red tide and blue-green algae on Florida waters. 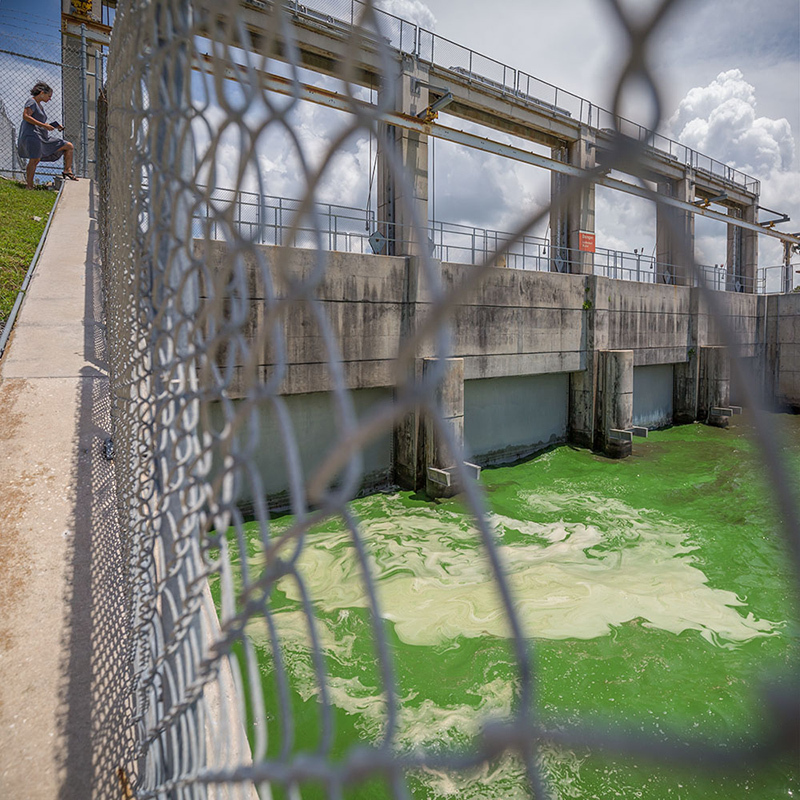 Learn why these algae blooms occur, the difference between red tide and blue-green algae and what actions can be taken to reduce pollution. 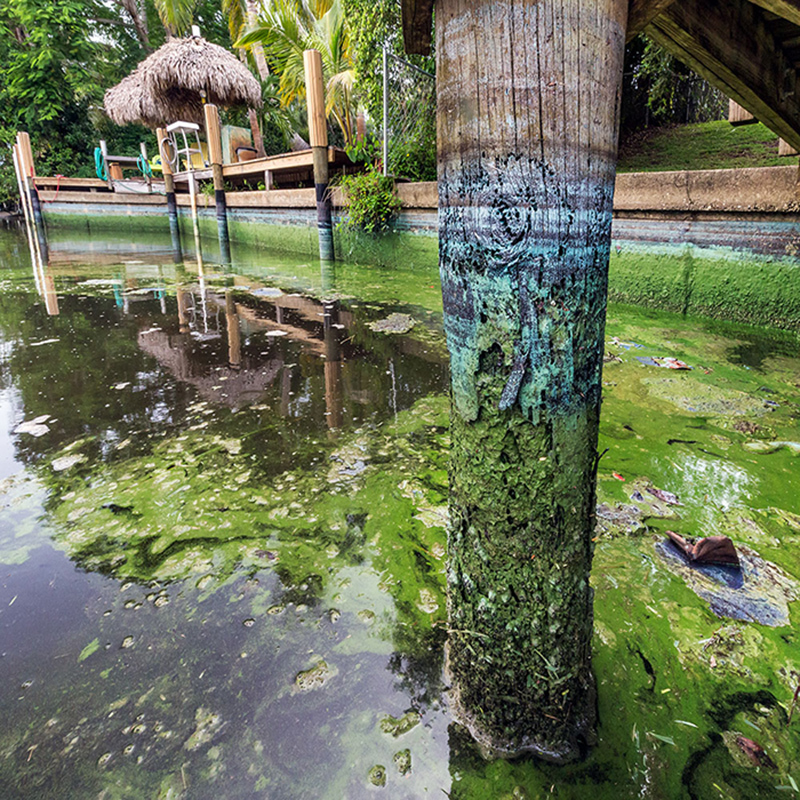 Reducing the use of lawn fertilizer, planting Florida-friendly flora and pumping septic tanks at the recommended frequency are some of the ways people can reduce nutrient pollution. Dead fish due to red tide have been reported in five counties: Pinellas, Manatee, Sarasota, Charlotte and Lee. While algae blooms occur naturally, the current red tide bloom is different as it started in October 2017. It has been unusually persistent, causing some shellfish harvesting areas to be closed since November 2017. The Museum thanks John Moran and Karl Havens for their help in creating this exhibit.